What a nice place to work! 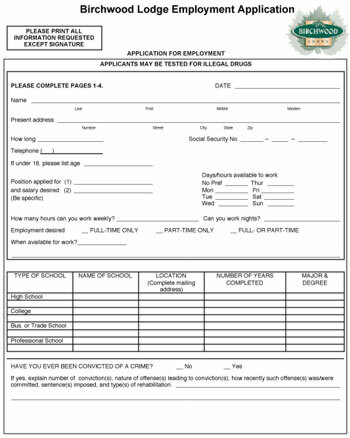 Please click on the image below to download our employment application. Join our mailing list to receive the latest news and updates from Birchwood Lodge.